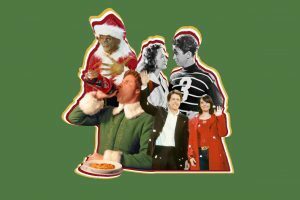 Join The Orpheum for a FREE Winter Movie Series during the 2018 Holiday Season! Movies will be every Saturday at the Orpheum Theater in Downtown Flagstaff. Movies start November 24th and end December 15th! Doors open at 9:30am where there will be holiday themed crafts prior to the movie beginning at 10am. Celebrate the holidays with us in Arizona’s Winter Wonderland right here in Downtown Flagstaff! Presented by the Orpheum Theater and the Flagstaff Downtown Business Alliance.